We know that this is something you’ve been expecting for a while now. Now you can create secure/https short links for all the integrated ShortLink providers (except the case of PixelMe with custom domains). This will not apply to all the existing (already) created short links, however. But here’s the good news: implementing the secure/https short links for all the integrated ShortLink providers will happen automatically. You don’t need to do anything. Until now, to get content approved you had to go in each content category and select the content you wanted to approve. 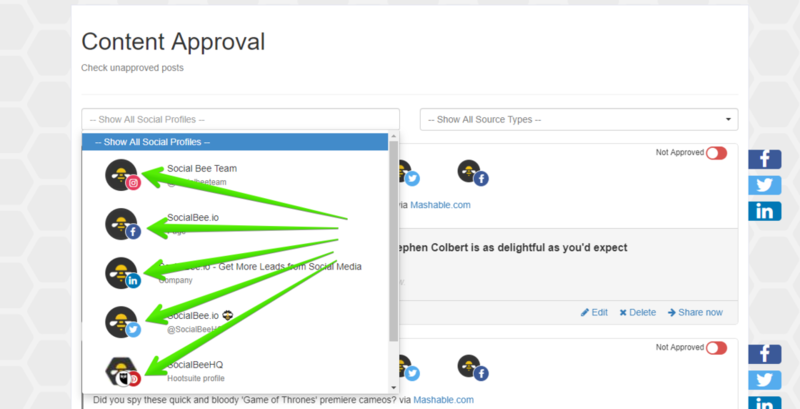 So, now you can approve those well-written social posts easier. But how will it look like once it shows up on the various social platforms? We've built Post Previews to see exactly* how each post will look like once shared on each social network. *Well, not really exactly, as social networks tweak the way they display posts all the time, but this is our best estimate to how the posts will look like. Just click the ribbon next to each post, to see how they will look like. Until now, when we wanted to share an image post, we had to do it via a weird trick where we'd share it via a SocialBee media file. That worked but was not ideal. Now, your LinkedIn images will be front & center. Plus they will look crisp. You can even add up to 4 images to a LinkedIn image post. No change is required on your side. This way, you can wear your best suit* on LinkedIn, and look good in it. *Even though it's LinkedIn, ties are not mandatory. From the beginning, we started SocialBee with three main functionalities: Content, Grow, and Engage. Twitter recently suspended 🔗 tools which had similar (but much more aggressive) functionality to our Grow feature. Our app was not affected, and we've always worked with Twitter to stay compliant with their Terms of Service. We're being proactive in making Twitter a better place for all of us. But no worries: these new limits won't affect 99% of you. What does this mean? What will change? One of the main use cases of Twitter is to find relevant accounts to follow and engage with. As private individuals, we might want to find friends, relevant news and entertainment sources, or thought-provoking profiles. As companies, we might want to find our competitors, influencers in our space, or prospective customers. But this should be used for just that - finding relevant accounts you want to follow, and not in order to generate notification spam. This is why we're limiting the Growth functionality to 100 follows and 100 unfollows per day. We feel that this still gives legitimate, well-intentioned entrepreneurs and businesses the possibility to find relevant accounts to follow while disarming any spammers. Most people post to Twitter once or twice per day. Even though we feel that Twitter's real-time nature does lend itself to a higher posting intensity than the other social networks, you should also not overdo it. So we're limiting the number of daily scheduled times to 100 for each profile. About one post every 15 minutes, which under regular posting conditions, is not a limit that anybody should hit. 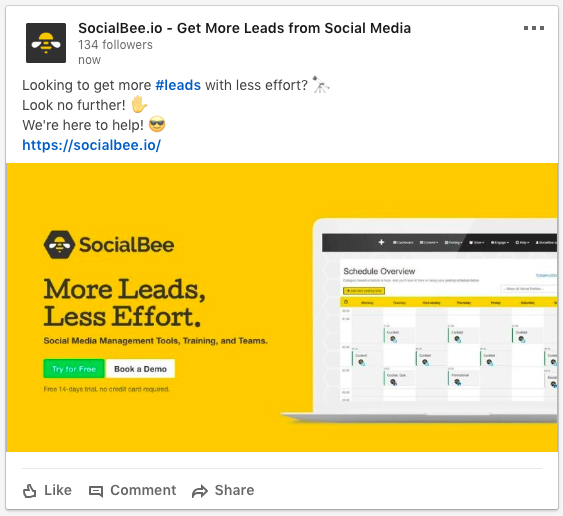 As always, we keep working to improve our tools 🔗 and our services 🔗 to help you get more leads with less effort. I know this is something you've been expecting for a long time. So guess who can now post on Pinterest through SocialBee? So until we get our very own access to the Pinterest API, you can already post on Pinterest through our HootSuite integration. A free HootSuite account also works. As this is a brand new feature, if you find any issues with it, or have any suggestions, please let us know. As I'm sure you know by now, Google+ is shutting down. As a result, we've also removed our Google+ Buffer integration. You can no longer connect any Google+ profiles. The posting on any connected Google+ profiles has been set to not running, and you can not switch it back to running. 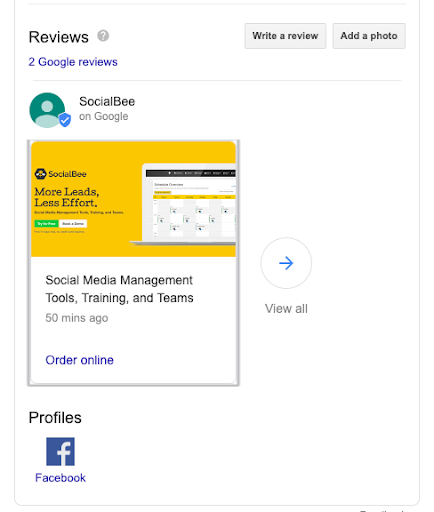 All your Google+ linked content is still available in SocialBee, in case you want to assign it to other profiles. We suggest removing any Google+ profiles from your SocialBee account. We're sorry to see Google+ go. But there's also good news: we're already working on our Google My Business integration. As we've been adding more Concierge Services (plus more are coming), we needed to give you an option to move from buying each one individually and to allow you to select all the services you want and buy them in one go. Our previous Issues with Posting (and Grow) on Twitter have been solved. All services are back on track. Surely SocialBee will start publishing changelogs very soon.